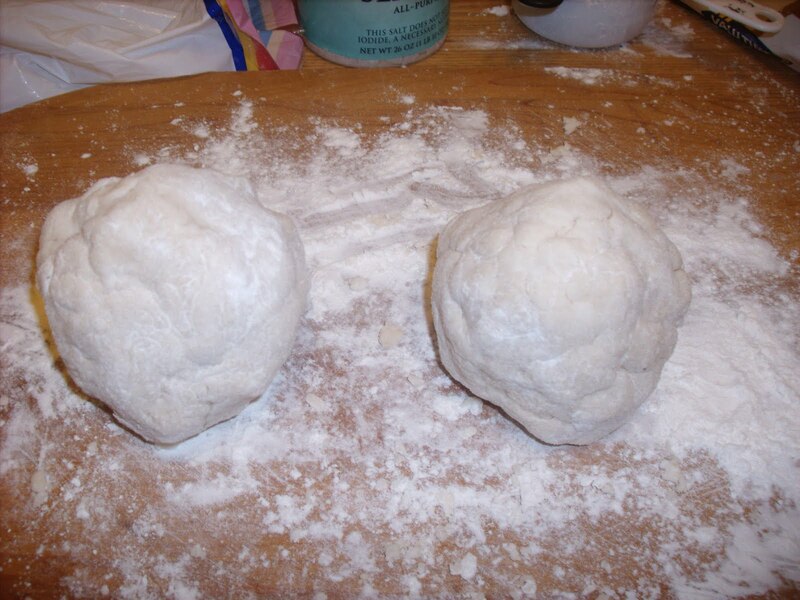 Pie crust, divided into two dough balls. To see the recipe on how to make them, click here. If the dough is frozen let sit out to thaw completely. Take one ball & roll it out to fit the pie plate you are using. 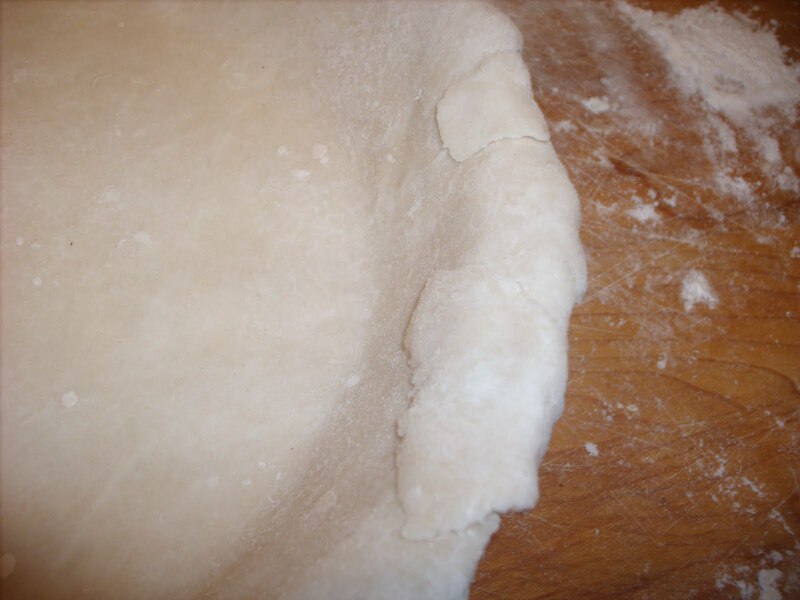 Trim the extra overhang of dough. I use scissors but you can use a knife, pizza cutter or anything really. Sometimes you get tears or holes. 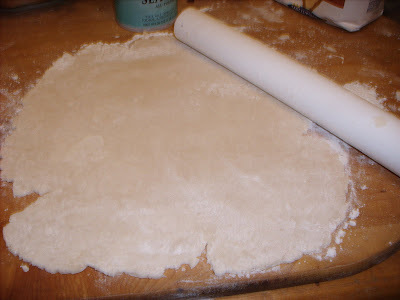 Not to worry, use some of the dough you trimmed off the edges to patch. You can see my patch job here. Fill with blueberry pie filling. 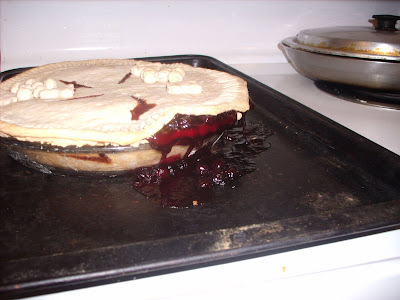 I used one can & I threw in some frozen blueberries too. 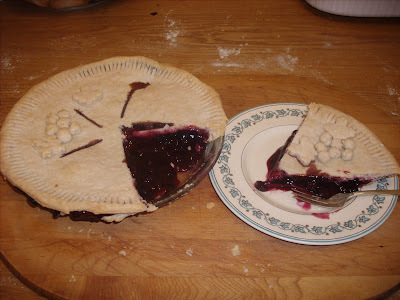 I rolled out the top just like the bottom and place it on top of the pie. 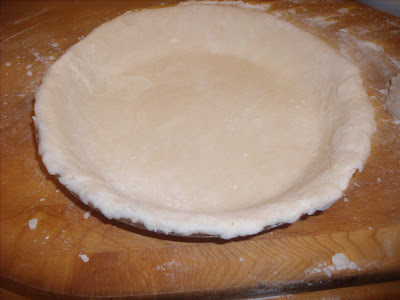 Trim the edges again and use a fork to press the top layer of dough into the bottom layer. 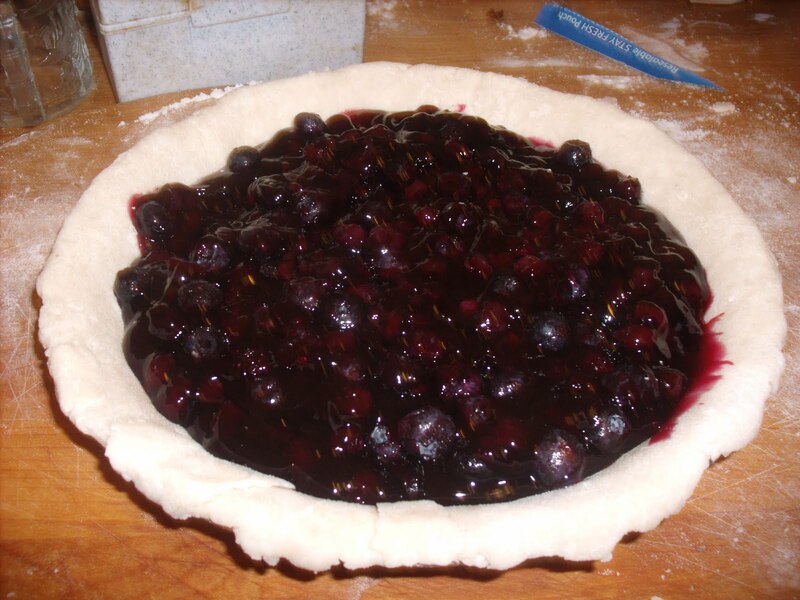 I had some dough leftover so I made little blueberries & some leaves. If you want to get creative with the extra dough go for it. 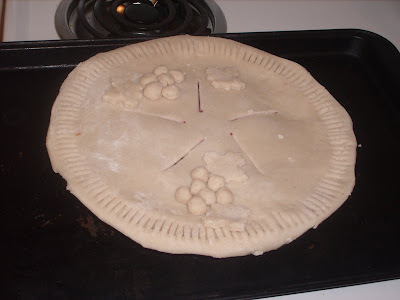 Use a bit of water on the back of each decoration so it sticks to the pie and doesn't roll around. 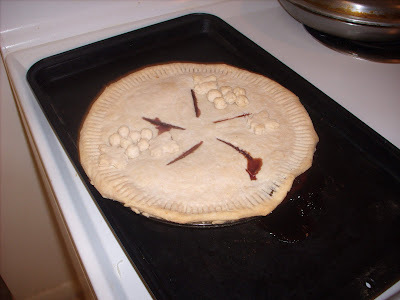 Put the pie on an older cookie sheet to catch the spill over of the pie. You don't want that bubbly mess on the bottom of your stove.